Telegraph photo by TOM KING Former DWC coach Nick Sampson is back in the area as the new Nashua North boys lacrosse coach. 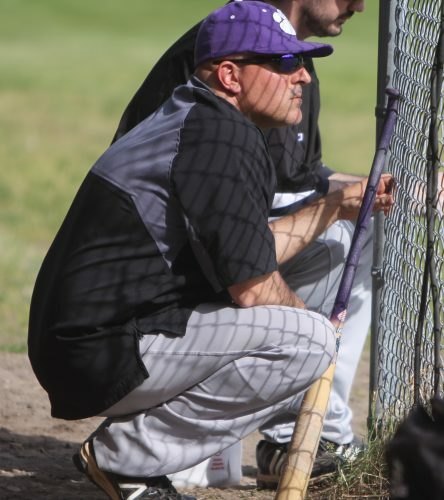 NASHUA – There was a different tone in Nashua High School North assistant varsity boys lacrose/JVcoach Mike Chenard at practice the other night. One of energy. One of optimism. “We’re going to compete this year, guys,” Chenard bellowed as the players ran sprints in the gym. Why is he excited? The Titans have a new head coach, former Daniel Webster College and Londonderry assistant Nick Sampson, who is seen as a long-term solution. 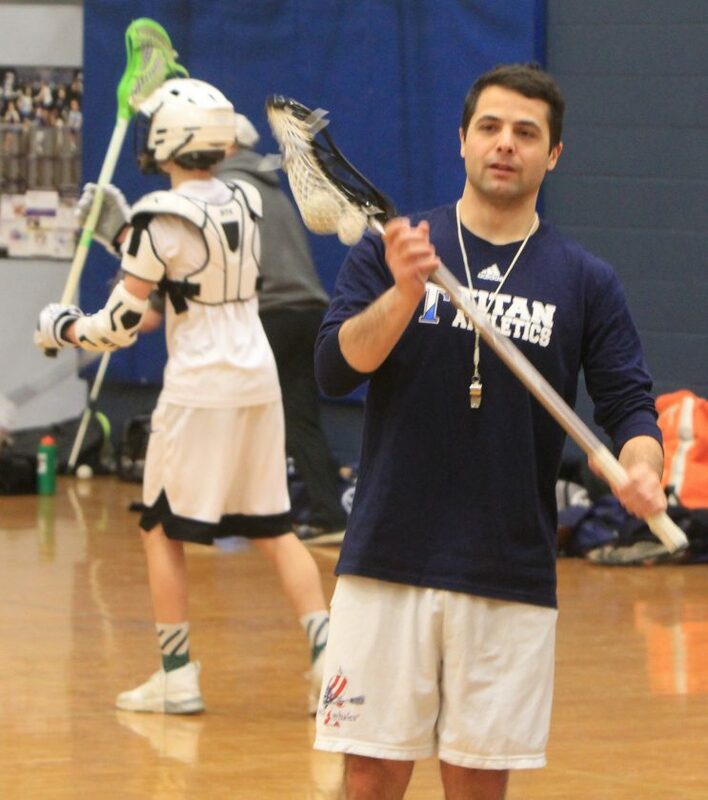 Former Titans coach Rod Redman, highly respected in local youth lacrosse circles, made it clear for family reasons he was only a short term mentor/caretaker when longtime North coach Keith Bertrand left to take the Souhegan job two year ago. Meanwhile, at Stellos Stadium earlier in the week, the Titan girls were listening to new voices. Shouting instructions practice was new co-coach Heather McKillop, while the other co-coach, Kristen Peterson, was sifting through player lists and making sure players were in the right place, right line for drills. The coach the last few years, Chloe Audesse, stepped down to focus more on her teaching career. But both programs had struggled, neither making the tournament. 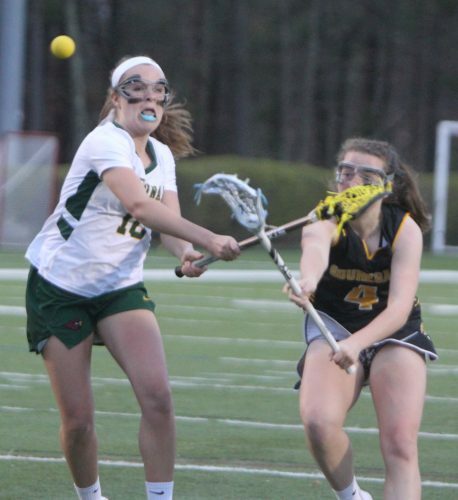 Either way, it’s a new era for both North boys and girls lacrosse programs, as they’ve fallen behind their rivals at South. Sampson coached with his uncle, Roger Sampson, at Londonderry, but the lure of North and the opportunity to run his own program was too good to pass up. He had the same taste of that for one season under difficult circumstances, as he took over for the final season in DWC history, knowing the school was shutting down that spring (2017) and a lot of top players had already left. What does the North program need? Coaching is always evolving for Sampson, who has brought in DWC’s all time leading scorer, Anthony Cotoni, and another former Eagle, Matt Muser, as his other assistants. Cotoni is the Eagles’ all-time leading scorer. Part of Sampson still wonders what he could have done with more years there. But he’s learned a few things since. What did the large turnout tell Sampson? Sampson wants to build a program. He feels the Titans, in their minds, should compete for a state title every year. He’s tried to instill discipline right away, and feels there’s one way to bring a struggling program back. 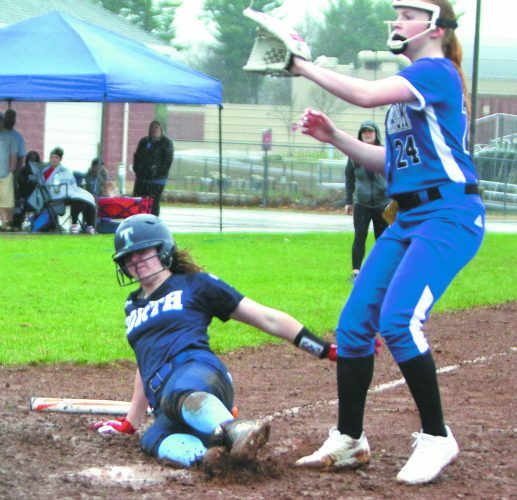 At North, Gingras and school officials opted to go with a co-coaching situation, with two alums of the unified Nashua – McKillop and Peterson, the latter who actually was the Titans head coach back in 2014. The pair met a month ago for the first time, but found out they shared a common bond. Both played for the first girls lacrosse Nashua had on the high school level, Linda Haytayan (formerly Nelson). Peterson was on the inaugural NHS girls lacrosse varsity back in 1996 while McKillop played a few years later. The pair sat down in Gingras’ office, and found out they meshed. Right now, things are in the beginning stages as the Titans are just one week in with practice. The Titan girls will be a young team, and will go throw growing pains, but that may help them for years to come. Peterson is glad to get back into coaching. Clearly, the lacrosse Titans want to be remembered in a new way.